The most experienced NASA astronaut in history and two Russian cosmonauts have just completed a huge mission aboard the ISS. 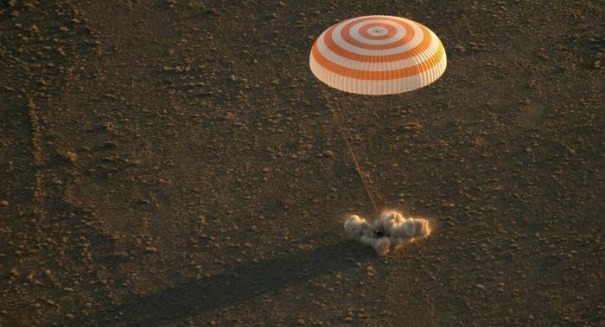 Three brave men have just landed back on Earth: NASA’s most experienced astronaut, Jeff Williams, and cosmonauts Alexey Ovchinin and Oleg Skripochka of Russia. Their spacecraft, a Soyuz TMA-20M, landed in Kazakhstan on Tuesday night. Russian recovery teams were on hand to help get the crew out of their capsule. They will need to get used to gravity again after six months in space. The landing was broadcast live by NASA. It was Williams’ fourth trip to the International Space Station. He now has 534 days in space, which is more than any other U.S. astronaut in history. Williams helped prepare the station for the eventual arrival of commercial crew spacecraft, as NASA looks to divest itself from the ISS and hand it over to commercial interests.